We sat out of the governor's race last year because needless to say things were pretty crazy back then. 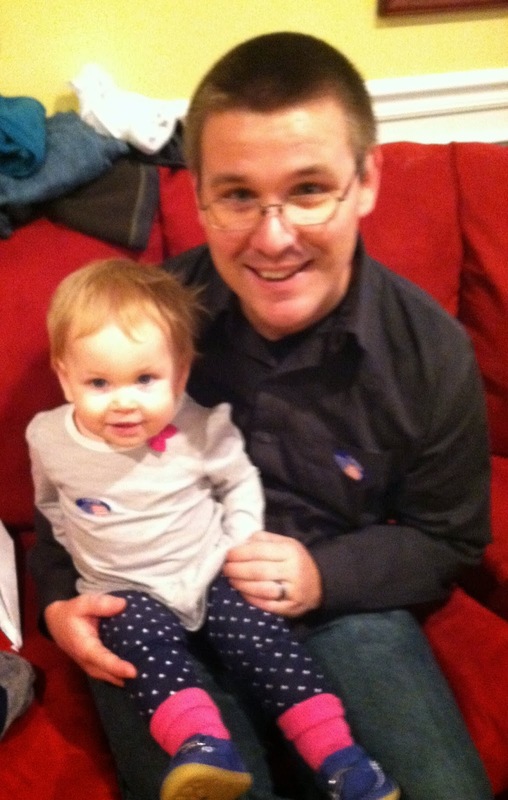 She did not get a ballot but she did get a sticker and a stylized explanation of what daddy was doing. 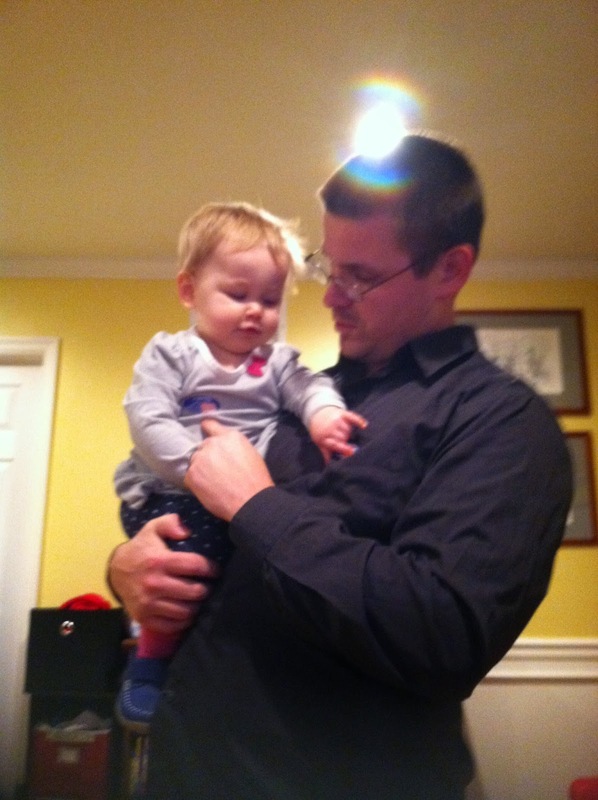 Here we're admiring each other's stickers and posing for the camera. She just gets cuter and cuter.